The mission of the Ministry Institute is to bring to the Diocese of New Jersey opportunities for Christian formation, spirituality, and ministry learning and development. Upcoming Courses and Events by Date. Most courses offer online registration. Registration links can be found within each event. Contact Mary Anne Clisham toll free at 609 394-5281, ext. 10 or by email at mclisham@dioceseofnj.org. 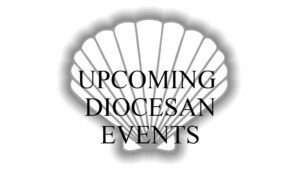 All registration and financial information given by you to the Diocese of New Jersey during online registration is kept strictly confidential. No information will ever be sold to or shared with any third party. A full refund will be given for cancellations made three weeks (21days) or more before the event. No refund will be given for cancellations made less than three weeks (21 days) before the event. If you’re coming to an event in Trenton — at Diocesan House or Trinity Cathedral — and need to find a train or bus, check the schedules. A NJ Transit trip planer will enable you to find a convenient route and time.